PET Bottle “Spice” 100 ml crystal clear. Price inclusive spice shaker black. The stylish packaging for spices. PET Bottle “Spice” 80 ml crystal clear. Price inclusive spice shaker black. The stylish packaging for spices. 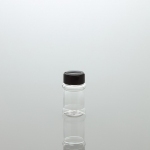 PET Bottle “Spice” 60 ml crystal clear. Price inclusive spice shaker black. The stylish packaging for spices.